WOTOFO Serpent 50W TC Full Kit consists of a 2000mAh Serpent 50W Box Mod and 3.5ml Serpent Sub Tank. 5 colors for option. Wotofo Serpent 50W is a box MOD Kit consisting of 2000mAh Temperature control mod and 22mm Serpent Sub Tank. 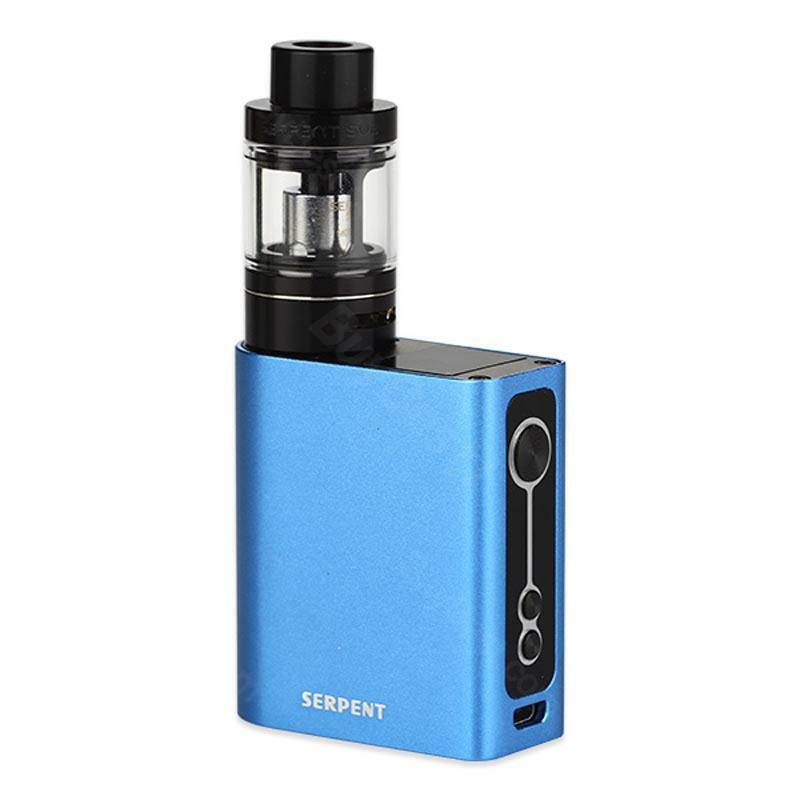 The Serpent 50W Box MOD is easy to operate and features ergonomic design and light weight. While the Serpent Sub Tank is a top filling tank with 5ml e-juice capacity. You can adjust the bottom airflow to enjoy an open draw. Together with Peek Insulator and anti-Heating drip tip, the innovative kit allows to enjoy the best vaping experience ever. • Compatible with Kangertech OCC coils and Kangertech SSOCC coils. WOTOFO Serpent ist wirklich super, kann ich nur empfehlen! Klar man muss Wassermelone auch gerne haben, was bei mir natürlich zu trifft. WOTOFO Serpent 50W TC Kit 2000mAh with Serpent Sub Tank, big battery for several days, I am very happy to get it.